I was fortunate enough to be interviewed by The Pen & Muse today. There were personal questions as well as questions about how I wrote One Big Beautiful Thing. It’s a strange sensation to be interviewed. It made me oddly self-conscious, but I’m happy to have the opportunity to talk about my novel and to reach new readers. I’m really pleased with how it’s been received so far. I’m so grateful to everyone who has read it. It’s nice to know people are reading it and enjoying it. That’s very cool. High Tide in the City, by Martine Lillycrop, is a bleak look at the world of 2070, a world in environmental and political crisis, a world where technology is both friend and foe. Enter Matt Nixon, ex-cop, ex-addict, trying to make amends for past mistakes while trying to make a living, but 2070’s Bristol England is not an easy place to make a living. The city is partially flooded and falls victim to deadly daily tides. When Nixon comes face to face with a dead serial killer who is digitized and on the loose, he is forced to join sworn enemies to try and stop the killing spree without completely loosing himself in the process. Lillycrop is not one to baby her readers. Like Burgess does in A Clockwork Orange, she drops the reader into 2070 with little or no explanation of the changes in the world. Those changes are revealed from Nixon’s point of view as the story unfolds. It can be a challenging read at first, but Nixon is a compelling character, flawed but also admirable. Lillycrop is particularly deft at executing the action scenes and she never lets you get too comfortable about where the story is going. Nixon struggles to keep his friends close and his enemies closer, all the while trying to distinguish one from the other. It’s a fast paced read and one that will leave you thinking about it long after you’re done. I found myself eating breakfast alone this morning at the neighborhood IHOP. I had a good book on my phone, so I was happily reading when an elderly couple were seated adjacent to me. He had a pencil mustache of the type that John Waters sports. When the waitress brought their coffee, he raised his cup toward his wife and said, “Here’s looking at you kid.” Then he proceeded to read her the newspaper. His wife had thick glasses and clearly didn’t see well enough to read it herself, so he patiently read through the recent weddings column giving each wedding it’s own flair. He wasn’t reading loudly. It was just for her, but I was so close, I couldn’t help hearing him. I’m so glad I did. His simple expressions of love for his wife were so heartwarming that when the waitress brought my check, I asked for theirs too. It seemed a small price to pay for such a great start to my day. I started my new week with a four star review for One Big Beautiful Thing on Griperang’s Bookmarks. That was a nice way to start my week after last week was so dreadful. After seeing the new review, I went with my sister for a lovely massage at Heaven On Earth Nurturing Touch Massage and Bodywork in Lexington, Virginia. We were welcomed into Lindy’s beautiful hundred-year-old home. It was a great massage and we really enjoyed our afternoon there. Sunday was a great relaxing start to the week. I hope the rest of the week is so pleasant. I’m going to a viewing today for a former student of mine. It’s a particularly hard thing to do, not just because he was a former student, but because he was a sweet boy and I worked with his father. When you work in a school, the children of coworkers are often the children you know best, because they are the kids you see most often. Like you, they have to attend every event and they are there early and often leave late. So you know these kids and you usually like them. I liked John. He was very likable. Everyone liked him. He was that guy, not a star, not a clown, just a good, solid guy that everyone liked. His father adored him. We all understood why. What’s more difficult to understand is John’s death. He died skateboarding while holding on to a friend’s truck. I feel certain that if someone had asked him if that was a good idea, and he’d thought about it, he would have said no. He was not a stupid guy. He’d been accepted into college to study nursing. He’d been doing ride-alongs with the fire department to get his EMT. He was bright. He was going places. He had a plan. Then he did something stupid and died. Impulse. It’s amazing it doesn’t kill us all. Why the human brain between the ages of 12 and 25 seems to periodically lose it’s sense of self-preservation is a scary wonder. Those of us, who survive those years, sometimes forget how dangerous they can be. It’s a miracle any of us survive and a tragedy that some of us don’t. John’s death is a tragedy. Today will not be a good day. 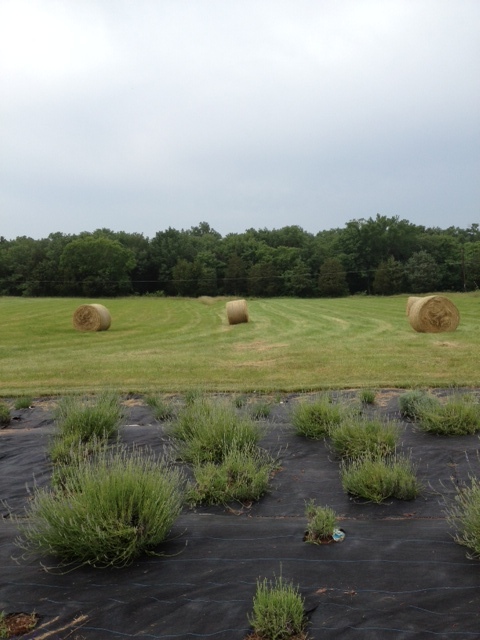 I spent the morning at the Seven Oaks Lavender Farm in Catlett, Virginia in Fauquier County. As I drove with my friends through western Loudoun County and down into Fauquier, I was reminded of how beautiful Virginia is in the late spring when everything is green and the flowers are just starting to bloom. While my friends cut lavender to dry, I wandered around the farm, talked to the owner, and remembered all the reasons I moved Kate to the country in One Big Beautiful Thing. Don’t get me wrong, I love where I live. Falls Church is fantastic, busy, diverse, and home, but there is some part of me that really likes that rural beauty of my childhood, that likes the silence and the solitude, at least for a little while. Then I remember the bugs and the mud, all that work to maintain so much land, and how isolated it is. I think I’m better off keeping country living to the realm of fantasy. Ah, fiction. The country life in my head is so much less work than it is in reality, best to leave it as a lovely dream.